The Oyo state chapter of the All Progressives Congress (APC) says it will choose a flag bearer for the party through indirect primaries. The party’s decision is to allow people to make their choice without imposition. 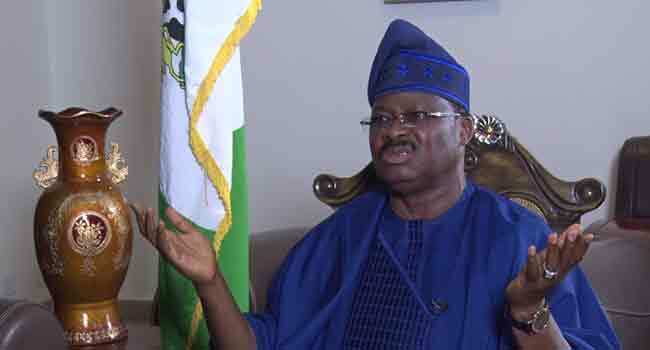 Oyo state governor, Abiola Ajimobi, disclosed this to journalists at the Government House after a consultative meeting with 26 gubernatorial aspirants from the APC. The meeting which lasted for hours was to foster unity and greater collaboration within the party. The state governor noted that all the 26 aspirants present at the meeting agreed that indirect primaries should be held where delegates would be allowed to choose the flag bearer who will contest for the government house in 2019. Before the meeting with governorship aspirants, the state governor and the party executives in the state had met with Oyo South and Oyo Central Senatorial districts aspirants in Ibadan and Oyo towns respectively. He assured the aspirants that there would be no imposition of candidates. The state governor directed all aspirants who are still in his cabinet to tender their resignation letters “if they are serious about contesting for the seat of the Oyo state governor”.